I don’t know how it is at US programs, but at Oxford, Sport is everywhere. Perhaps its because we are embedded within the wider university, but a large chunk of my classmates are representing Oxford as they fight against other schools. In the US there is the NCAA, and in the UK its BUCS – British University & Colleges Sport. In our class of 340 students, easily 25% of the them are involved in a university sport. A lot of them row in teams of 8 for their college or for the wider university. If you remember the movie The Social Network really well you might recall that the Winklevoss twins ended up at a rowing regatta. They were rowing for Oxford and in fact were Oxford MBA students at the time. We have 2 olympic swimmers, the head of the boathouse, half of the university hockey team, a university archer, a crew of table tennis players, and much much more. Myself? 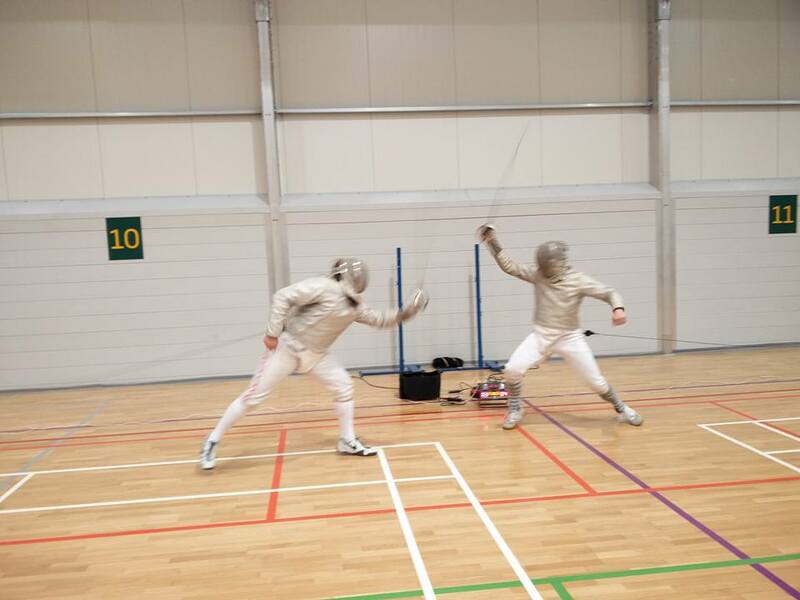 I fence Foil & Sabre for the University and this weekend had a “Quint” – a small tournament with 5 schools. It lets us pack most of our matches for a term into a single weekend instead of being on the road each week. 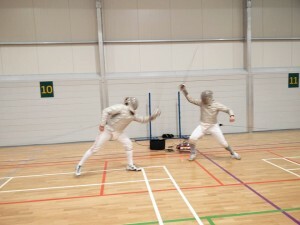 I fenced against Cambridge (Beat them! ), Warwick (Their fencers were just as hot as their infamous rowing team), and Nottingham (like the Sheriff). I’ll have at least two more of these next term before the big varsity rivalry match against Cambridge again on 12 March. Getting back into Fencing after so many years off has been exhaustingly exhilarating. I hadn’t thought about getting back into collegiate sport for my MBA, and especially not in a 12-month compressed intensive program. However it has been an energizing experience. Not only am I more active to help fight off those MBA 15-pounds, I have another network of friends, another tie to the wider university, and more generally, more energy (if less time). As we have been learning about managing for energy not time this is an important experiential learning exercise that hopefully I’ll find a way to continue after I leave Oxford. If you are thinking about coming to the Oxford MBA and used to play a sport in college, reach out because I’m certain we have an MBA involved on some level you could talk to.